Actor Brooke McCarter has died at the age of 52, his family has said in a statement. 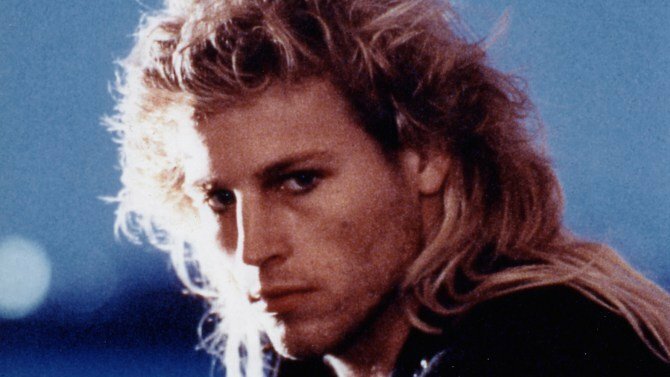 Brooke McCarter was best known for playing a vampire in 1987’s The Lost Boys. His family said in a statement on December 22 that he died “from the genetic liver condition alpha-1 antitrypsin deficiency (AAT)”. The message describes Brooke McCarter as a “loving son, brother, father, uncle, cousin, nephew and friend”. Born in 1963 in Philadelphia, Brooke McCarter was a high school athlete and model before landing his best-known screen role. As blond-haired “lost boy” Paul, he met a grisly end after being knocked by a dog into a bath full of garlic-infused holy water. Unlike some of his co-stars, who included Jason Patric, Corey Feldman and the late Corey Haim, Brooke McCarter did not go on to pursue a full-time acting career. Instead he worked in the telecommunications industry while also making music and occasionally appearing at horror conventions. According to People magazine, Brooke McCarter died from liver failure at his home in Tampa, Florida, after having been admitted to hospital earlier this year.